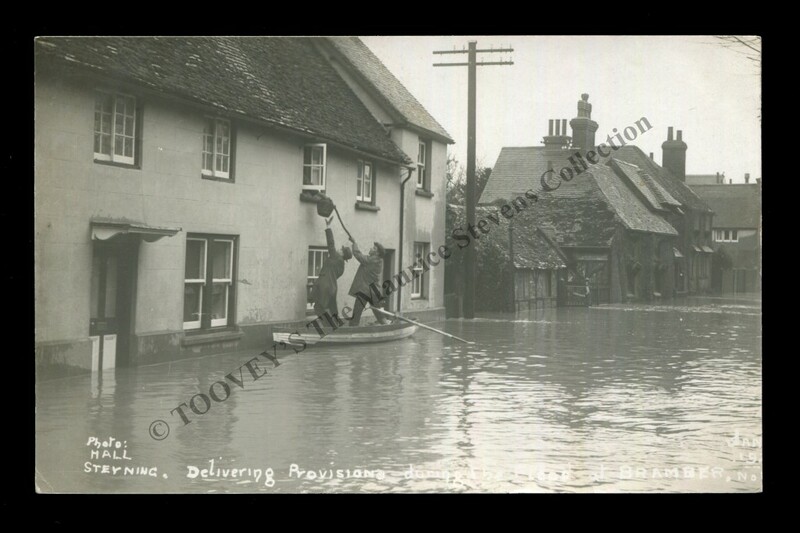 A remarkable collection of postcards from the estate of the Sussex collector, Maurice Stevens (1932-2015) is to be offered for sale at Toovey’s Washington salerooms in West Sussex on Tuesday 22nd March 2016. Maurice Stevens was a Sussex man. Born in 1932 at Hurstpierpoint, his childhood was spent at Albourne. Once married he moved to Burgess Hill where he lived happily for fifty-six years. A horticulturist and keen angler, he was rooted in our beautiful county and delighted in its towns, countryside and social history. Throughout his life he formed and dispersed numerous collections, one of his main interests was photographic topographical postcards of Sussex. He had a gift for identifying unattributed views and scenes and many of the postcards have his pencil annotations on the back. These collector’s notes and comments are fascinating and reveal Maurice’s deep understanding of postcards and the history of our county. The Maurice Stevens Collection includes postcards depicting topography and social history. These include early aviation, motoring, railways, traction engines, military events, fairs and shops. As we leaf through the catalogue image after image captures the eye. 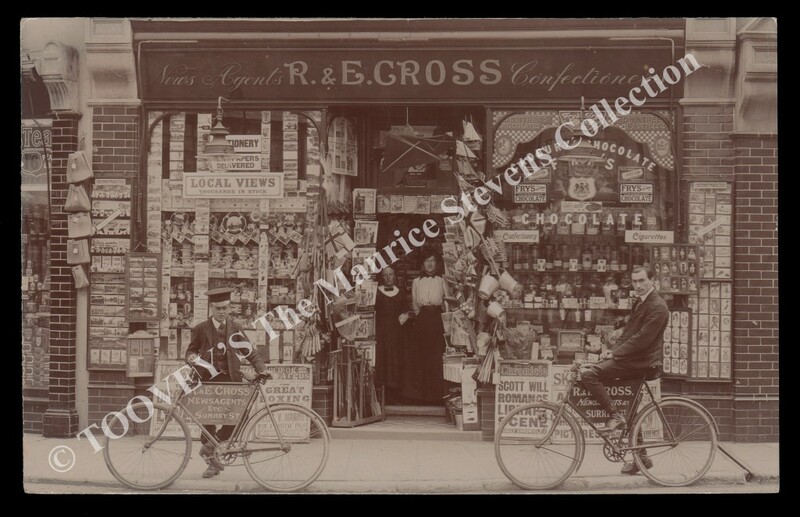 Nick draws my attention to a postcard of the Littlehampton Newsagents and Confectioners, R & E Cross and describes the scene “The staff are outside this Surrey Street shop. You can see the Sussex postcards being displayed alongside Cadbury’s and Fry’s chocolate. It shows the lives of everyday people.” He continues “The publisher, Frank Spry, moved to Littlehampton in 1904 with his wife. His offices were in the same street as this shop.” It carries a pre-sale auction estimate of £80-120. 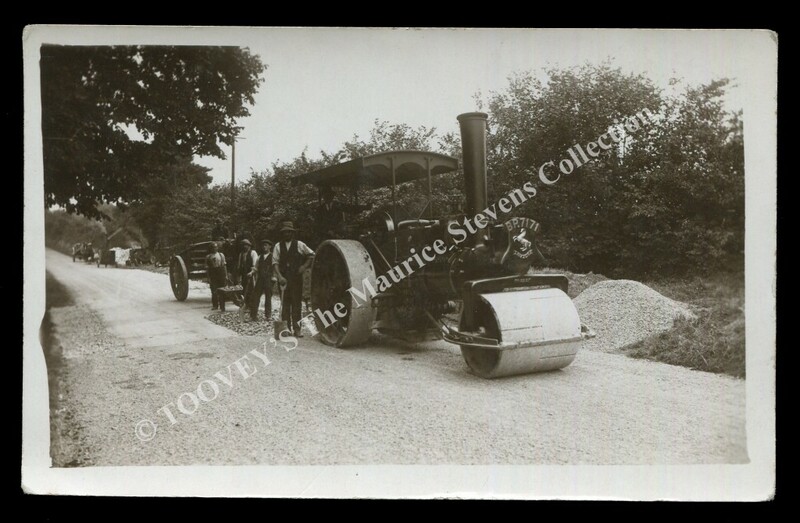 I love traction engines and my eye is taken by a photographic postcard of a steamroller and workmen in a road. Maurice’s pencil note on the reverse of the card reveals his extensive Sussex knowledge. It reads ‘on the Woodmancote Road south of the village, W.S.C.C. Team, S.E. Sayers working’. These rare insights give life to the collection. The card is expected to realise £50-80. 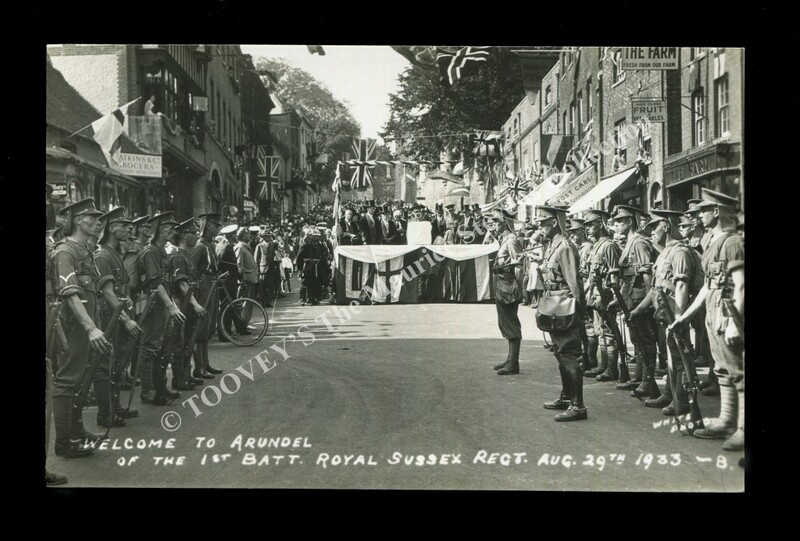 Social history and topography are once again combined in the postcard titled ‘Welcome to Arundel of the 1st Batt, Royal Sussex regt. Aug 29th 1933-8’. It was published by White. This hopeful scene, with soldiers on parade in Arundel as flags blow in a summer breeze, stands in contrast to the growing troubles in Europe at that time and the approach of the Second World War. Offered with a postcard of similar interest, the two are estimated at £25-35. I have observed over the years the sense of community amongst collectors who are passionate about a particular subject, Nick confirms that this is true of postcard collectors too. I ask him where postcard collectors gather in Sussex in between his specialist postcard auctions at Toovey’s. He replies that he often attends the Haywards Heath International Postcard Fair which is held on the first Saturday of the month at Clair Hall, Perrymount Road, Haywards Heath, RH16 3DN. Nicholas Toovey will be at the fair this coming Saturday 5th March 2016, between 10.30am and 4pm with catalogues for the Maurice Stevens Collection for sale. The Maurice Stevens Collection will be offered for sale by auction at Toovey’s, Spring Gardens, Washington, West Sussex, RH20 3BS on Tuesday 22nd March 2016. The printed catalogue is available from our offices for £5 (£7 by post in the UK) or you can view the catalogue by clicking here. If you would like more information on the Maurice Stevens auction or the Haywards Heath International Postcard Fair you can contact Nicholas Toovey by telephoning 01903 891955 or emailing auctions@tooveys.com.